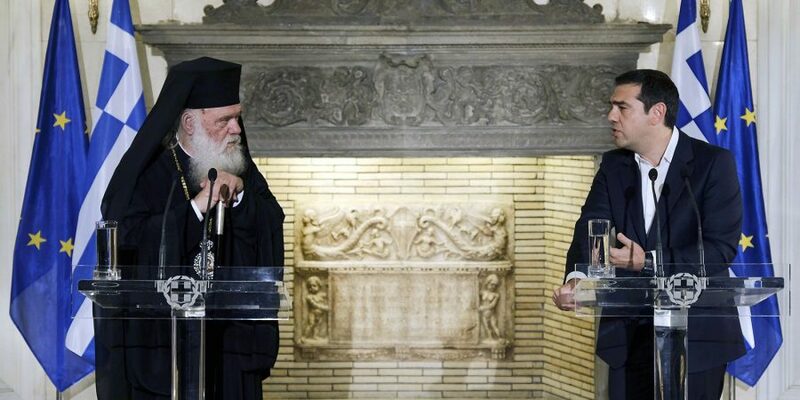 ATHENS, Greece (RNS) – The government of Greece and the Orthodox Church may be headed for breakup next month under a historic deal negotiated in secret between Archbishop Ieronymos and Prime Minister Alexis Tsipras. 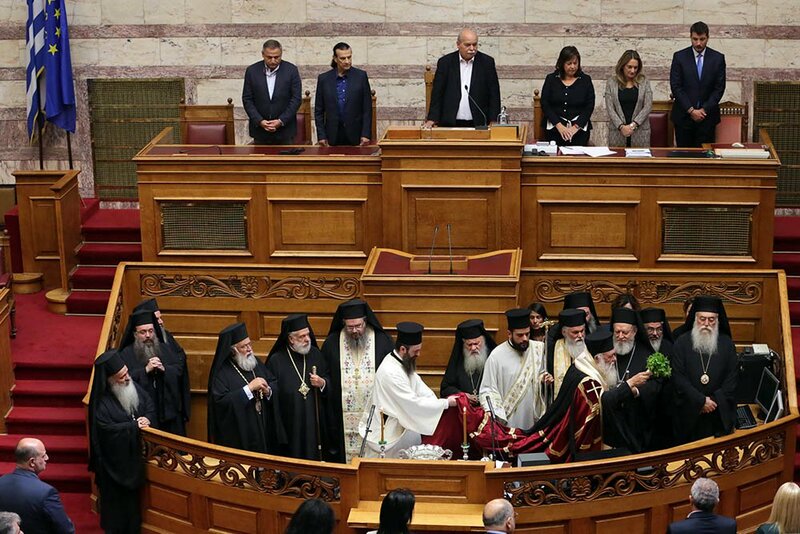 Next month, the country’s parliament is expected to vote on an agreement to make the Greek state neutral toward religion, ending the primacy of Greek Orthodoxy in the country’s constitution. 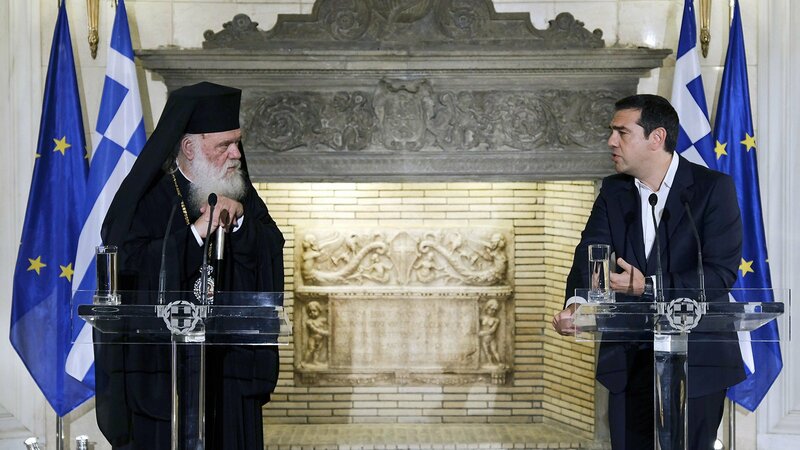 Priests have held vigils, threatened to excommunicate the prime minister and promised to exhort voters to abandon his left-wing Syriza party since the agreement was announced Nov. 6. If the agreement is approved, the government would set up a fund to pay current priests’ salaries – estimated at $230 million a year – while the church would pick up the tab for new priests. As the church’s 8,000 clergy retire, the church will incur the expenses of their replacements. 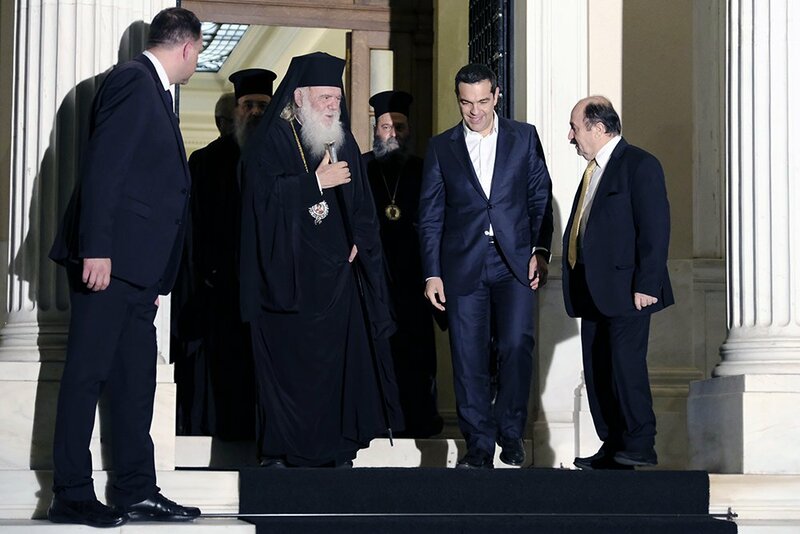 Conservatives have criticized Tsipras for his lack of faith. A nonbeliever, he opted for a cohabitation agreement rather than a religious wedding with his partner, Betty Baziana. 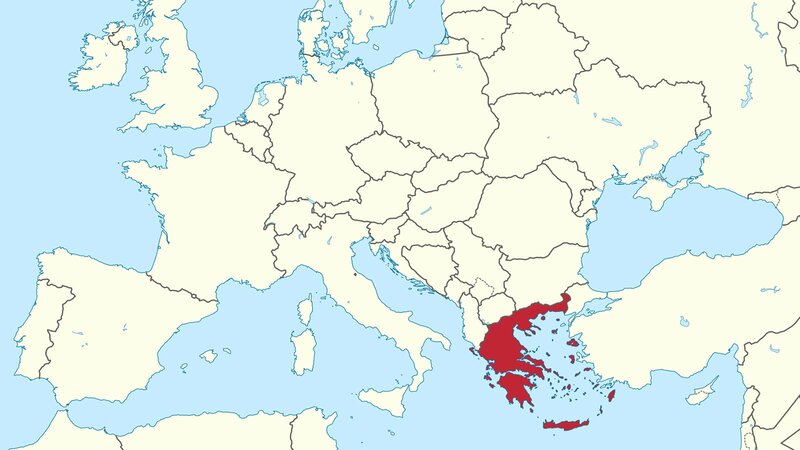 Greece is the second most religious country in the European Union, after Romania, according to a Pew Research Center report published last month. According to the report, 55 percent of the country’s citizens say religion is very important in their lives.